Colibri® ColorSpec enables creative and prepress designers, brand owners, manufacturers and material producers to use real colors in their artworks, to define color standards for their products, and to communicate brands and designs to their suppliers. 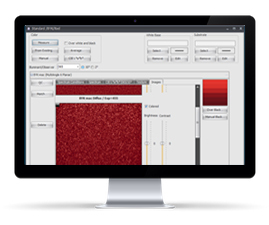 Colibri® ColorSpec helps you manage your complete color program, from color standard specification, to development and digital compliance criteria and ultimately individual supplier review. Developed for use with Adobe Illustrator design software, Color Plugin allows creative and prepress designers to connect to the Colibri® central database and select approved brand colors as well as real color standards based on spectral color data for use in their artworks. Designers have the option of working offline but need to re-connect to Colibri® to ascertain color data approval status.